As a mom, I LIVE in denim. So if there is one area in my closet where I like to have several different options to put into rotation, it is denim. Blue, black, light, dark, distressed, cropped – you name it. There are endless ways to style the latest denim trends while still remaining true to your own personal style. 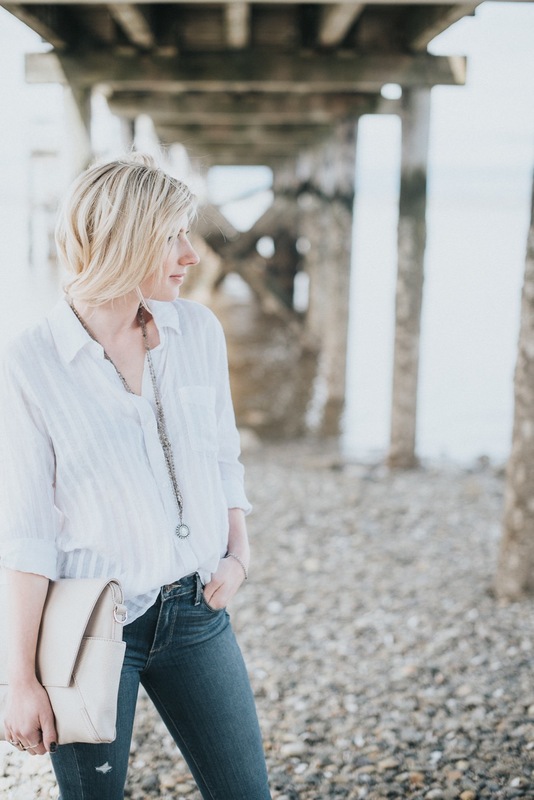 Today I am teaming up with Twist Fashions in Vancouver to share four popular styles, and how to wear them. Whether you prefer to dress up or dress down your denim, there is always a way to create a fashionable street style look. First up, the Seven for all Mankind Josefina Boyfriend Jean! I cannot begin to tell you how comfortable these jeans are. They feel like you are wearing sweatpants #win. 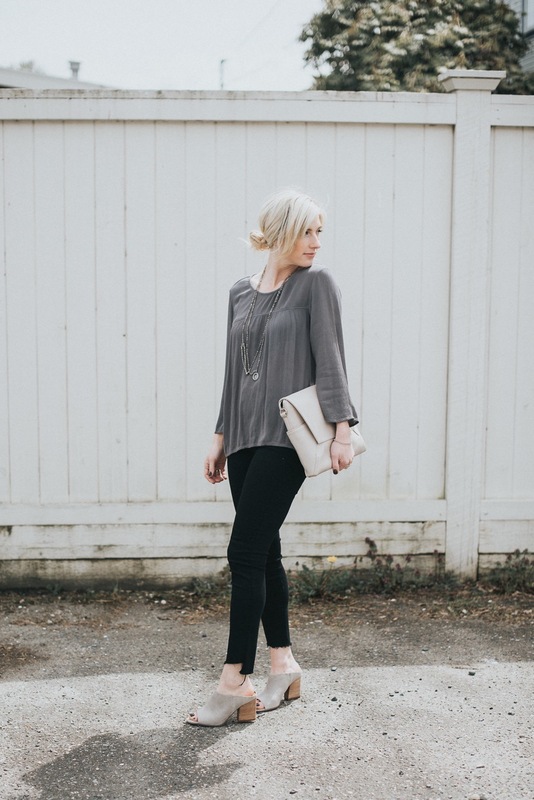 This relaxed fit can be paired with dressier pieces to elevate your outfit for an evening look, weekend style, or if you are able to wear denim to work, even a 9-5! 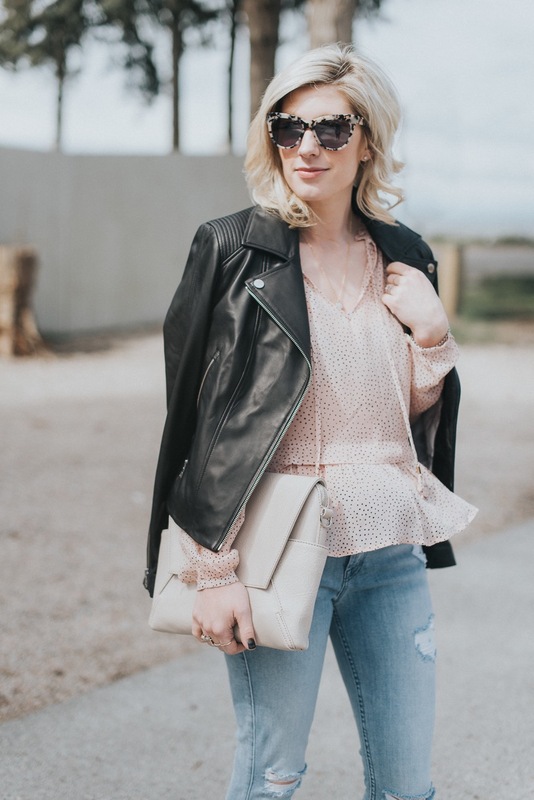 This Part Two Gall Blouse adds a feminine touch while the Soia & Kyo leather jacket creates an overall fashion forward look. 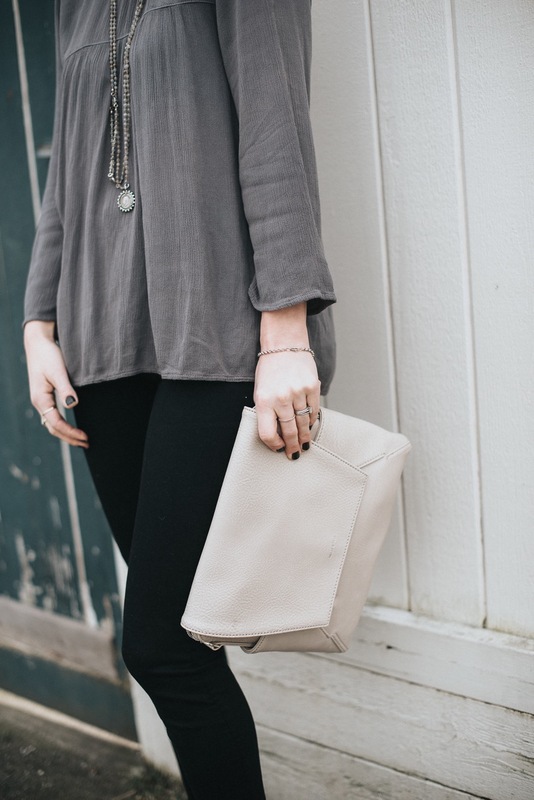 If you prefer a more casual style, switch out the boots for sneakers and blouse for a t-shirt and you will look equally as stylish! This pair is perfect for those who prefer their jeans a little bit looser fitting. Next up, and one of the most popular trends this season, the wide leg cropped jean. This particular pair, the Citizens of Humanity Cora Relaxed Crop, have a high waist and finish off with a frayed contrast hem. 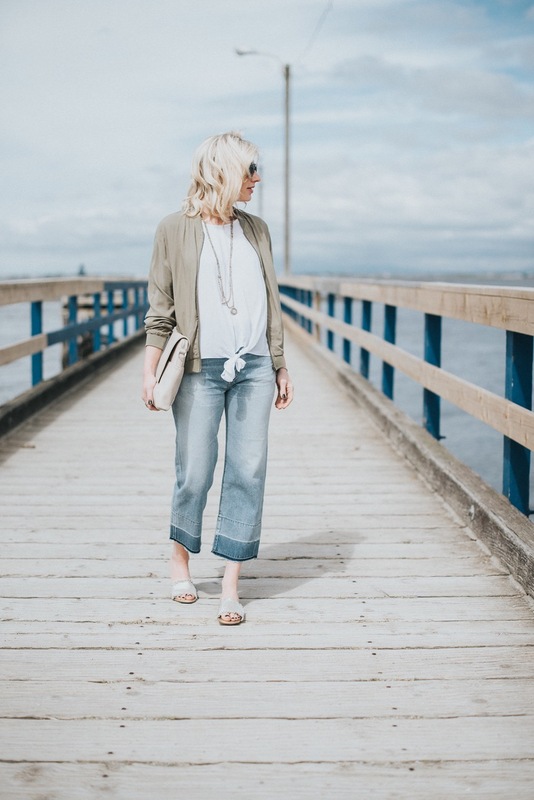 Even with a wider leg, these jeans are incredibly flattering. 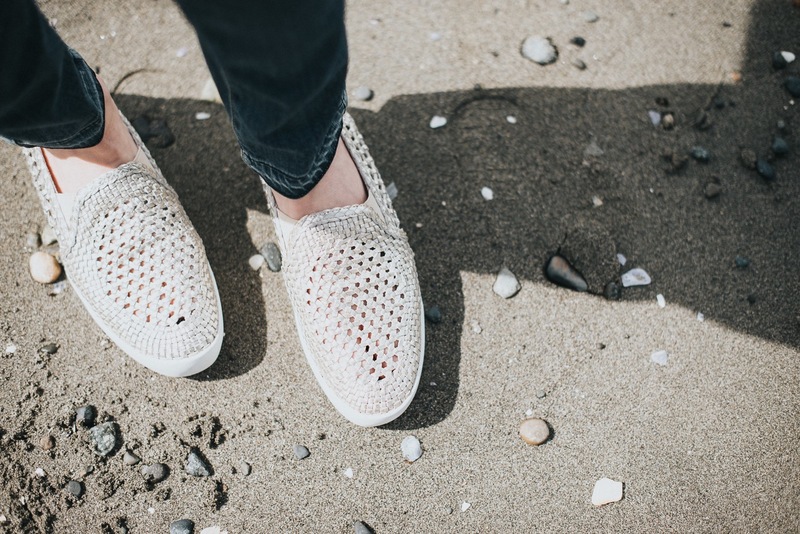 They can also be dressed up or down (I could picture these with a heeled mule too) and are a great option for warm weather months. 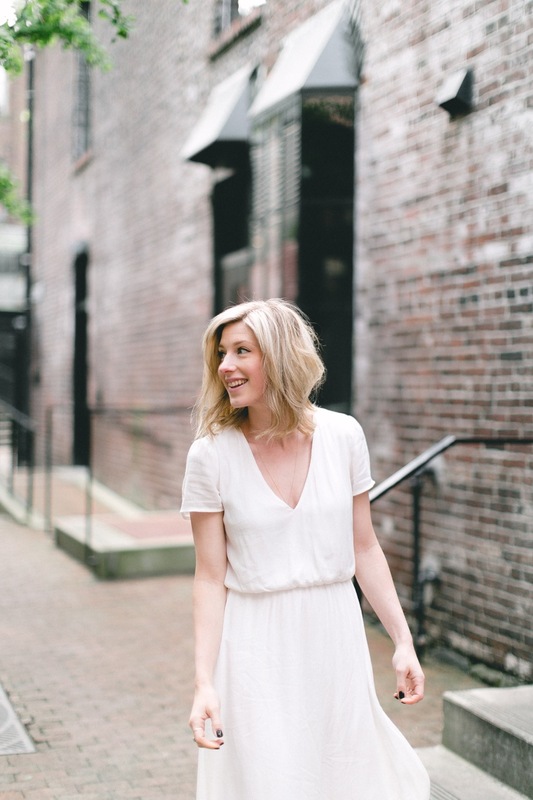 Rest assured, this style isn’t going out of style anytime soon! Next up, black denim. Just as much of a wardrobe must-have as blue denim in my opinion!! This pair of Mother stunner jeans incorporates the raw edge and cropped front, a style that we are seeing EVERYWHERE right now. I love the unique hem; a subtle yet eye catching detail. 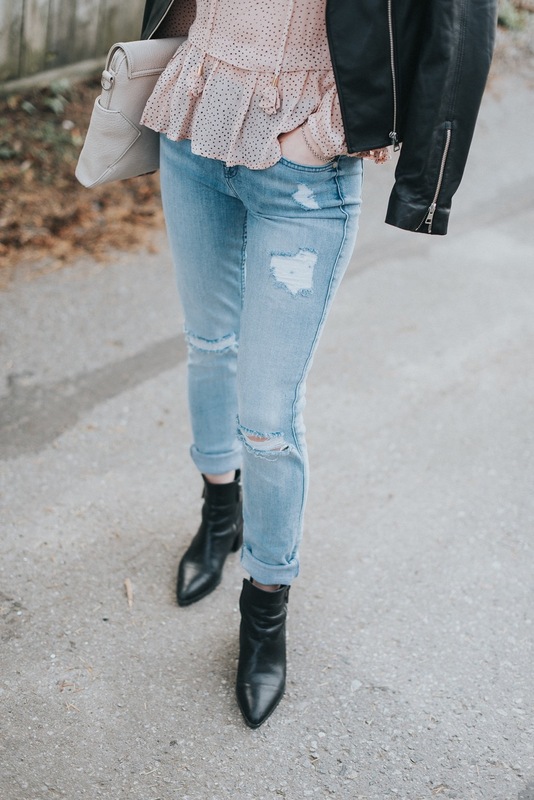 Black jeans are essential to have in your closet as they can easily be dressed up for those times that blue jeans are not an option. As a mom, I wear black denim almost every time I go out with my Mama friends as I like to feel comfortable while still looking put together. Grab a pair of stacked heel mules (like this pair by Franco Sarto) to match!! I am loving the combination with the hem on these jeans. Lastly, a great pair of slightly distressed, medium washed ankle jeans, like this pair from Paige. 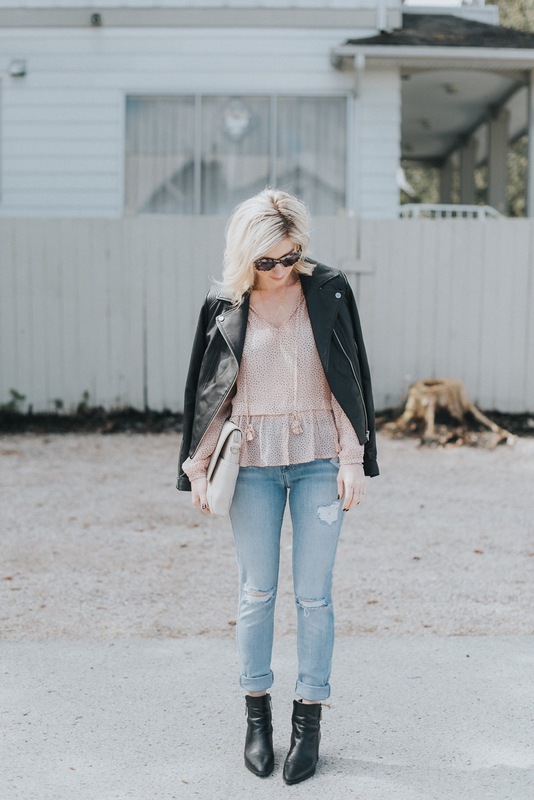 This is the perfect introductory style to distressed denim for those who are easing into the trend and do not like too many rips/holes. The mid-high rise works for almost any body type, and helps form a waist to balance out your figure. 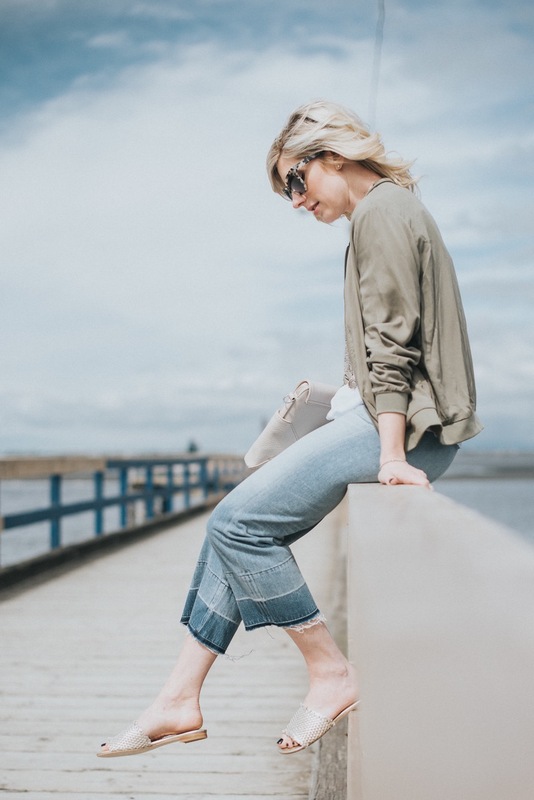 A simple pairing of distressed denim with a white button down shirt ( Rails is one of my absolute favourites for button-down shirts) and metallic sneakers is an easy-to-wear everyday casual look. Wear a statement necklace and an oversized clutch to add a dressier element to your otherwise casual outfit. Which one is your favourite?? I would love to know!! All items featured can be found at Twist Fashions! I want to try the 7 for all mankind boyfriend jeans asap! I love the more relaxed boyfriend style and the distressing is awesome! Which local retailers would carry these? I would love to check them out in person!